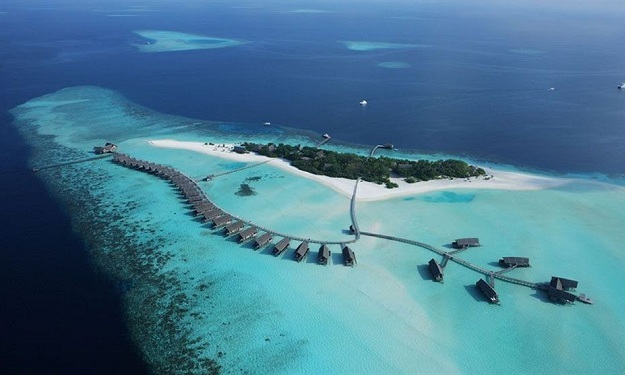 Hideaway Beach Resort and Spa is an exclusive Maldives luxury resort, located on Dhonakulhi Island, North Maldives. 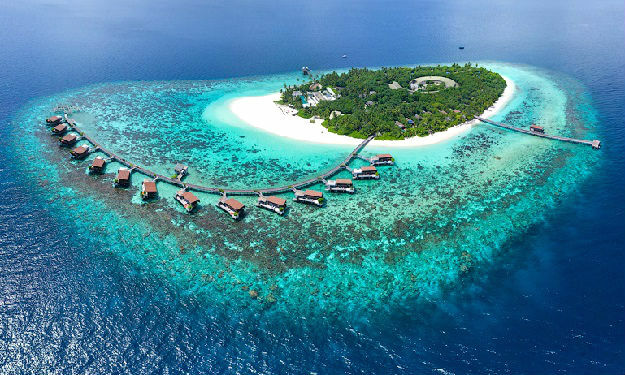 This Maldives Island is carefully tucked into one of the most secluded areas of the Maldives with its natural beauty kept untouched. 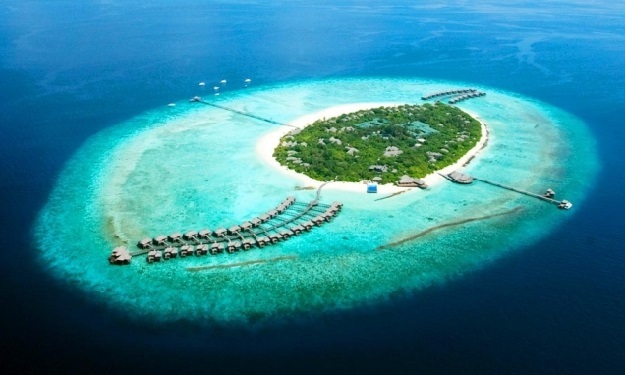 This 5 star luxury Maldives resort it represents the moon, breathtakingly beautiful crescent shaped. 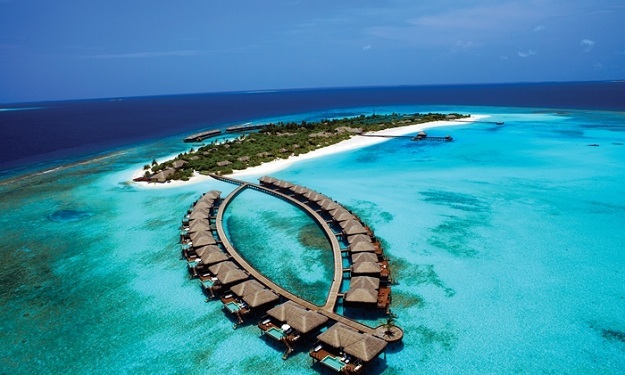 If Peace is what you are dreaming of your Maldives vacations than this is the place to visit. Villas of this resort are a sanctuary when it comes to the space. 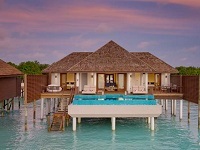 Each room is fitted with its inbuilt round beds which gives you a panoramic view of the island. 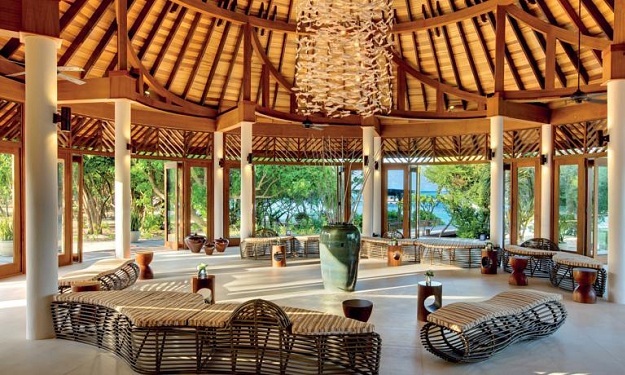 Experience total immersion into wellbeing, and delight in the exotic environment of Dhonakulhi. 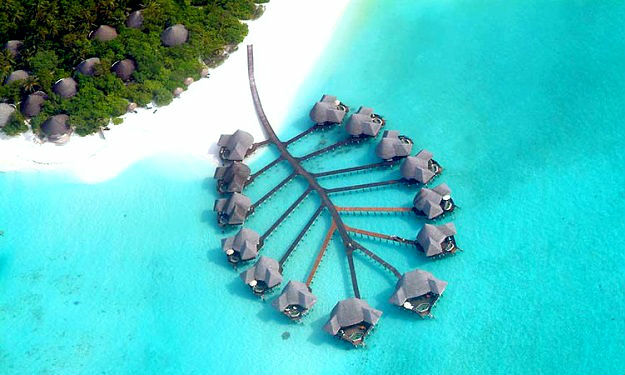 Hideaway is a boutique resort inspired by its lush surroundings. The sumptuous resort provides the perfect backdrop for a glamorous retreat. 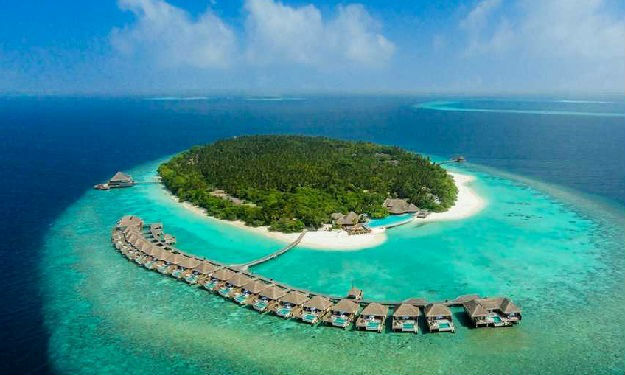 Escape from your busy life, and taste the exquisite charms of the Maldives. 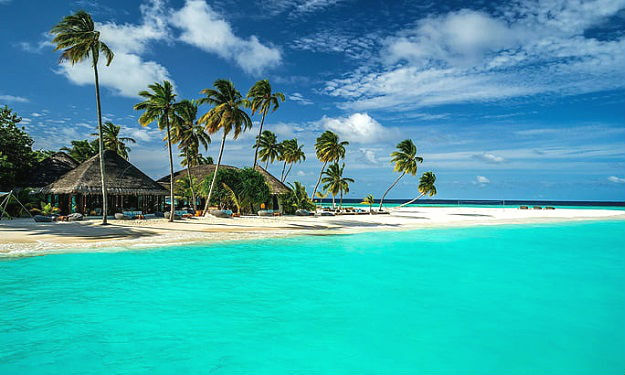 The rustic yet elegant Sunset Beach Villas offer the idyllic setting for a serene retreat. Scattered across the coastline, the villas are built around an open floor-level outdoor terrace and surrounded by magnificent gardens. The lounge and the bedroom are luxuriously furnished and supplemented by a separate dressing area, an indoor/outdoor bathroom with a Jacuzzi bathtub. The teak flooring, wooden patio and chalk-white walls contribute to the tranquil feel. Maldivian nature deeply inspires the architecture of the Sunset Beach Villas, enhanced by earthy shades of brown and green. 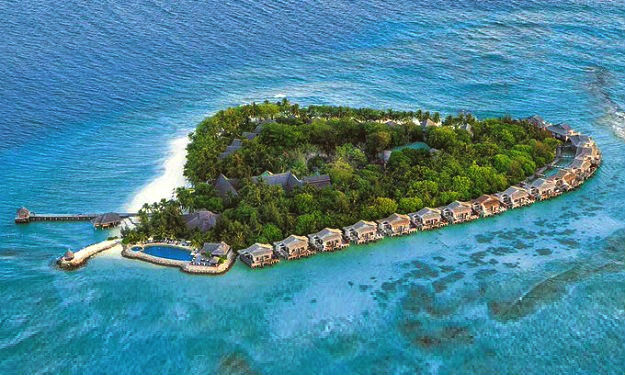 Lapped by the pristine waters of the Indian Ocean, the Beach Residences are scattered along the white sandy shores of Hideaway. The French-windowed bedroom is comfortably furnished and spacious with a separate dressing area. Further the indoor/outdoor bathroom comes with ‘two-person’ handcrafted Jacuzzi bath. An open-air alfresco garden dining pavilion completes your residence. Lie on the open-plan living area to read and relax, or take a bath in the outdoor plunge pool. 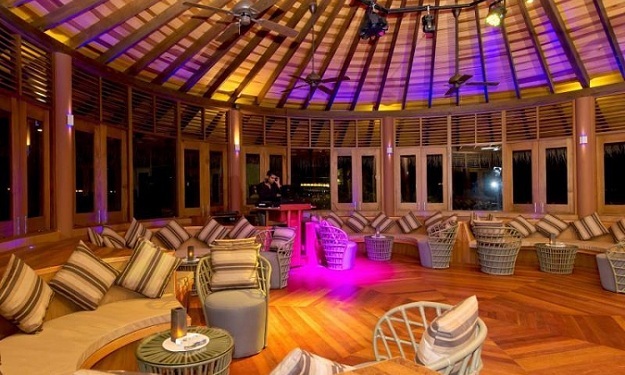 Do make sure to try out the Maldivian Swing (Undholi) for adash of fun! 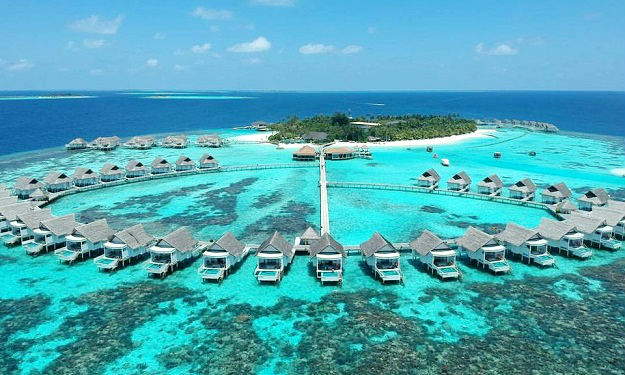 Erected on wooden stilts in Dhonakulhi Island’s turquoise-blue lagoon, Deluxe Water Villas enjoy a bedroom with sitting area, an indoor bathroom with T.V, walk-in closet, free-standing Jacuzzi tub, vanity counter with two wash basins, separate shower and toilet cubicles, an exclusive 18 sqm infinity pool with a seating bench in thewater, and sundeck that’s perfect for lazy days. There is also an in-villa dining area with amazing views of the endless blue horizon and lagoon access. 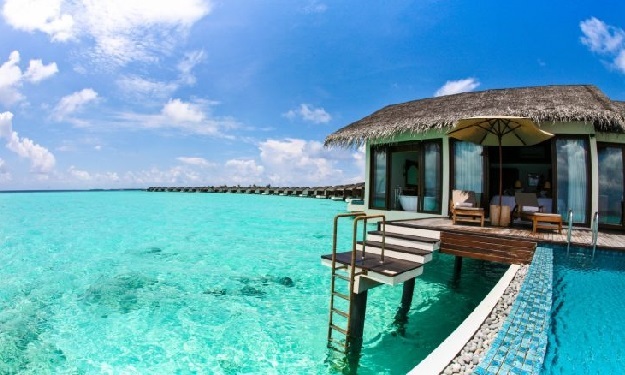 Perched on wooden stilts standing in the translucent lagoon, the two bedroom and two bathroom Ocean Suites are a honeymooner’s delight. Relaxin the living area, on the huge veranda, or in the 25sqm infinity swimming pool and enjoy private butler service for an extra level of attention. In addition you’ll find a walk-in closet, outdoor sundeck, and in-villa dining area. 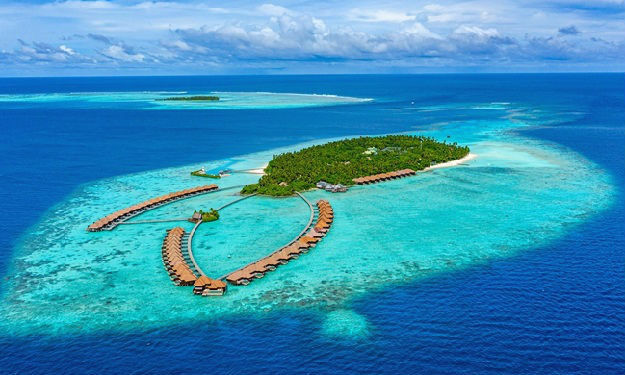 Views of the endless blue horizon,are some of the most romantic and mesmerizing in the Maldives. Perched tantalizingly over the Indian Ocean, the newly-built single- bedroom villas come complete with dining and living areas, an 22 sqm infinity swimming pool, outdoor deck area, indoor bathroom with T.V, walk-in closet, free-standing Jacuzzi bathtub, two vanity counters, separate shower and toilet cubicles and in-villa dining area on the sundeck, with amazing views of the endless blue horizon. They offer absolute indulgence to those who are looking for exclusivity and privacy, augmented by the services provided by your private butler. 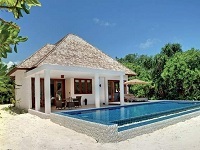 Exotic Family Villas with Pool span 705sqm of land located on a unspoiled beach. Each of the villas enjoys an exclusive infinity pool, an open-air terrace overlooking the pool and the beach, an outdoor sitting area as well as a lush private garden. 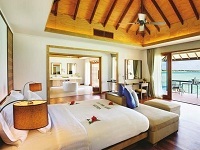 Enter your Family Villa through a Maldivian-style courtyard garden, leading to a spacious lounge overlooking the ocean. 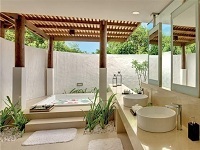 Villa features include, private butler service, a dressing area, a huge en-suite indoor/outdoor bathroom with a 'two-person' handcrafted Jacuzzi bathtub and a lounge area with en-suite guest toilet and shower. 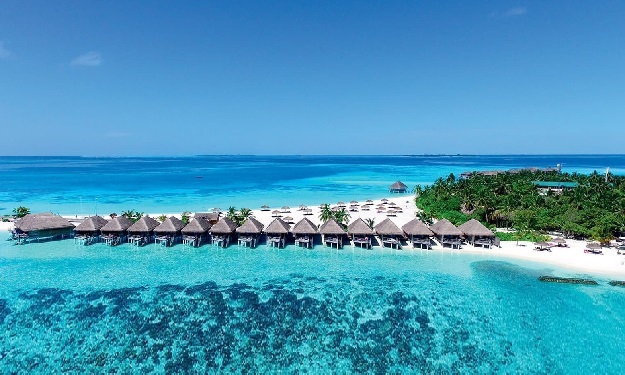 Located on the pristine lagoon side of the island, each Family 2 Bedroom Villa sits on the beachfront with the added pleasure of an exclusive 53sqm infinity swimming pool. Other features include an open-air terrace overlooking the pool and the beach, an outdoor sitting area, a dressing area, a huge en-suite indoor/outdoor bathroom with a 'two-person' handcrafted Jacuzzi bathtub in each room and a lounge area with en-suite guest toilet and shower. Enjoy being pampered by your private butler! 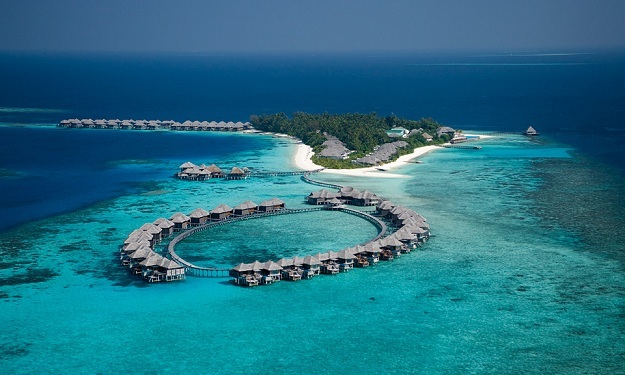 The award-winning Hideaway Palaces areunparalleled, representing the epitome of exclusivity, privacy and refinement. 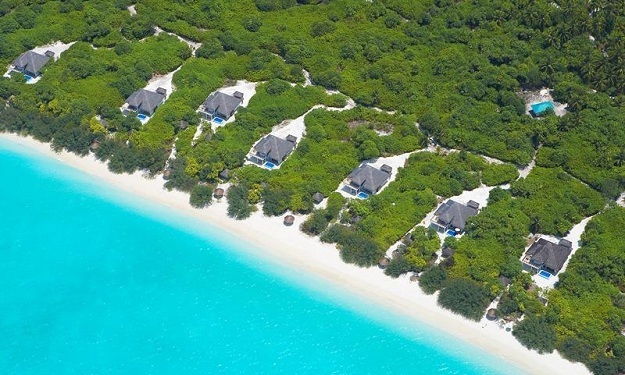 Each Hideaway Palace stretches over an expansive 1,420sqm of land perched on a natural sandbank. 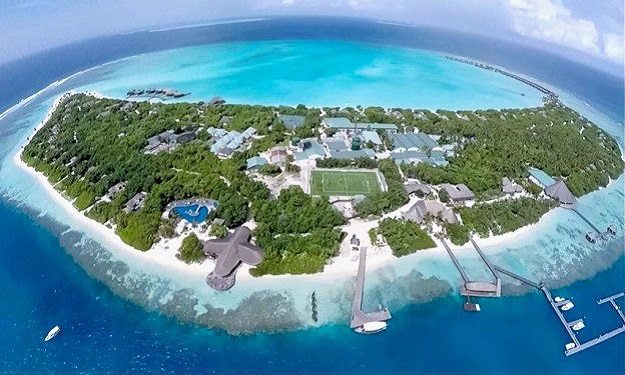 The Hideaway Palace comprises three individual villas, sitting on top of a timber deck surrounded by private infinity swimming pools, creating the magical impression that the villas float above water. A master bedroom with a walk-in closet, en-suite indoor and outdoor bathroom with Jacuzzi bathtubs, Two guest bedrooms with en-suite indoor and outdoor bathrooms walk-in closets, A spacious indoor dining pavilion with a roof-terrace for star-gazing and romantic candle-lit dinners, An open-air alfresco dining pavilion on the deck, A pantry pavilion dedicated to the preparation of light snacks and exotic cocktails by the dedicated Hideaway Palace Butler. Designed with care and capitalizing on the dramatic Indian Ocean location, the Hideaway Spa is an invitation to experience total wellbeing. The sun, sand and sea motif lingers throughout the Hideaway Spa with internal waterways and water walls, open areas and sandy floors. The delicate combination of coconut and teak timber furnishing, sukabumi stone, java rosso tumble stone, sandstone, pink slate, onyx and silk fabrics offer a journey for the senses. Both intimate and comfortable, the 12 private treatment room’s, steam room, manicure/pedicure station, waiting and retail area welcomes you to the sound of the waves. You merely have to let go to the hands of the team, experts dedicated to your relaxation and the rejuvenation of your mind, body and soul. 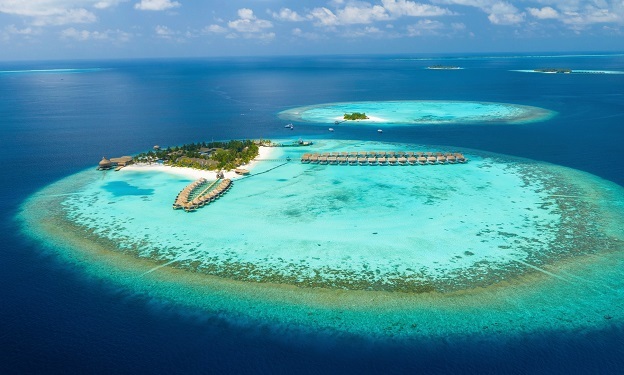 If the setting above sea level blows you away, the underwater experience awaiting you is even more spectacular. 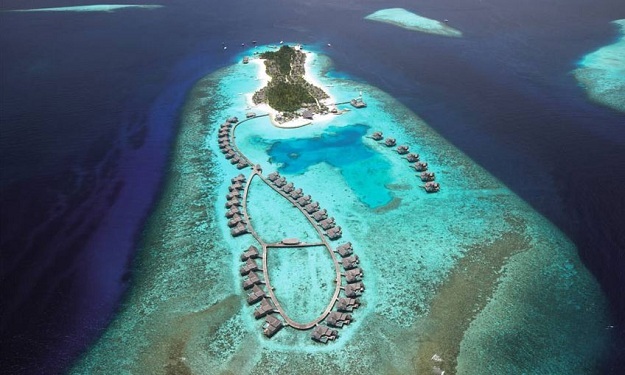 Meridis Dive & Relax invites you to explore the unrivalled underwater beauty of the Haa Alifu Atoll. 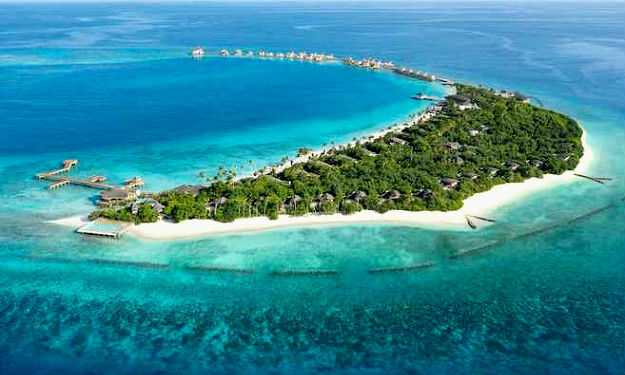 The famous Dhonakulhi reef sits only 10 to 30 meters away from the shore, and manta rays, dolphins, turtles and whale sharks often visit. 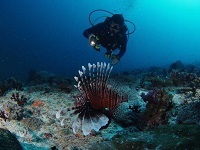 There are over 20 fabulous dive sites within 60 minutes of the resort by “Dhoni”, the traditional Maldivian sailboat. Meridis is a professional centre equipped with the latest diving gear, and where you benefit from the expertise of passionate instructors. You may choose between short-guided excursions or you may seek certification as a basic or master diver, as Meridis is a PADI 5* Gold Dive Resort licensed centre. 'Fun Under the Sun', the Deep Blue Water Sports Center at Hideaway Beach Resort & Spa offers varieties of water sports from stand up paddling, windsurfing, catamaran sailing, kayaking to jet skiing, water skiing, and fun activities, which are suitable for all age groups. A highly-experienced team of instructors is always on hand to provide an exclusive personalized service to every customer who wants to take part in the water sports activities. As a VDWS-approved Water Sports Center, guests can take basic courses in windsurfing and catamaran sailing, and be certified with an internationally recognized basic license after a successful completion of the courses. 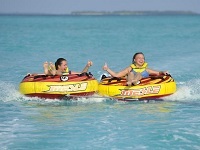 Group Sunset Cruises on Dhoni: Enjoy the Maldivian sunset from the traditional Dhoni boat with family & friends. A great way to celebrate the end of another beautiful day at Dhonakulhi. 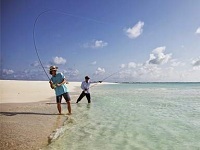 Sunset, Sunrise, Night and Big-game fishing: fishing is one of the mainstays of subsistence for the Maldivian people, who havemastered it to an art. Guests are able to participate in sunset or night fishing on a traditional Maldivian Dhoni fishing boat, big game fishing and also go on fishing expeditions with fishermen from the local islands and experience for themselves first-hand as to what proper eco-friendly fishing entails. The resort expert chefs will thereafter prepare the catches made by the guests in whatever manner they desire, including beach barbecues. 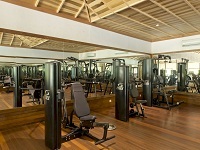 Sports enthusiasts are truly spoiled at Hideaway. Team players can enjoy a game of tennis or volleyball on the sand. If you prefer practicing alone, you can jog along the beach, bicycle along the hidden trails, or work out at the Sports Complex. As for early birds, they will love the invigorating Silat morning session! The two floodlit tennis courts are open around the clock and the gymnasium is equipped with all the latest fitness gears such as sky walkers, treadmills, cycles, and dumbbells. In addition, the resort offer table tennis, fuss ball, pool, and a bar where you can order a variety of healthy drinks, energy drinks, softs and fresh juices. If you’re looking for a tennis, ping-pong or pool partner, resort certified instructors will play with you at your leisure. Your wedding day needs to be special, and it should be. Take the leap and make your wedding the getaway of a lifetime with the most romantic setting by the beach where you will exchange your vows and create everlasting memories. 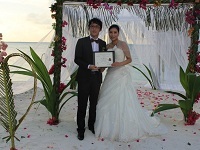 The resort wedding team at Hideaway will go the extra mile to help you make your day effortless and memorable. Personalize the ceremony decorations, bridal bouquet and cake with the wedding planner and relax with your loved one during the 25 minutes couple’s massage included in the offer. To get in the mood, enjoy special couples villa set up with bottles of wine, flowers and romantic music. 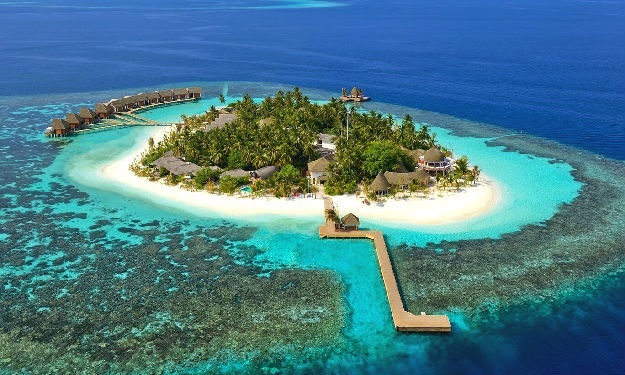 From a romantic candle lit dinner under the stars to a picnic on a deserted island, from dining pavilions over the water to a private barbecue on a secluded part of the beach. 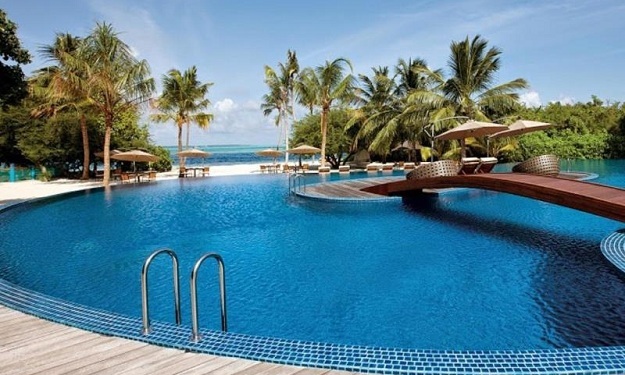 Sunbathing at the stunning infinity pool has never been so relaxing. Here we offer refreshments and all-day dining of international specialties during the day time. Have your order delivered to your sun lounger or dine at a poolside table with the fine views of the ocean. 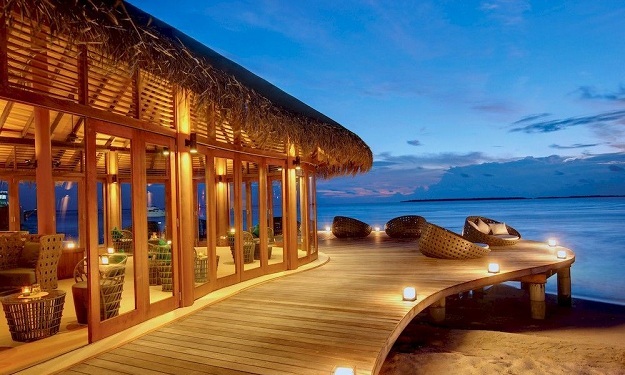 With its romantic location on stilts over the lagoon, Samsara is a food-lover’s paradise. With an exquisite blend of modern Indian and Japanese specialties on the menu, this is where fine dining becomes a pleasure. With a menu as dramatic as the setting, Samsara deserves at least two visits: once to begin exploring the outstanding a la carte menu and once to experience the teppanyaki table. 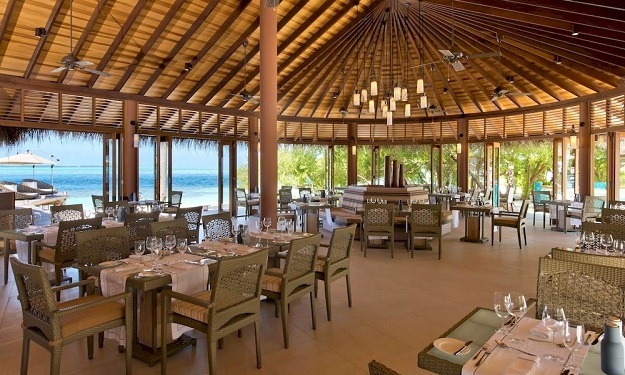 At the beachfront Meeru Bar and Grill you’ll find casual dining served to perfection. Open from late morning until late at night, this poolside restaurant is the home to an appealing international menu alongside a tempting range of cocktails, spirits, soft drinks, wines and freshly squeezed juices. ‘Must tries’ include a crispy pizza, fresh from the pizza oven; a tender premium cut of dry aged beef; or for a spectacular start to the meal, live lobsters and local seafood - scooped from the aquarium while you watch - perfectly prepared on the lava stone grill. This sand-floored ocean-front restaurant offers a warm welcome to food lovers with its expansive and daily changing buffet. A dining highlight at Matheefaru – which means coral reef in the local language – is the team of talented chefs who offer live cooking for the perfectly seasoned dish made the way you like best. Breakfast here can be enjoyed outside on the deck overlooking the lagoon or indoors, where large windows offer a refreshing ocean breeze. Dinner is a magical affair where diners sit on the open air deck under a sea of stars. For an utterly romantic experience we recommend booking one of the two over-water private dining pavilions.